Derek Shanks: Trek to the rescue! 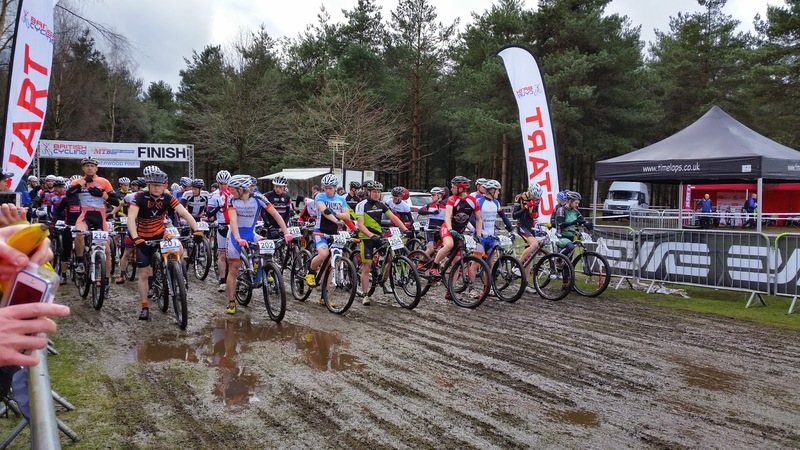 The evening of Friday 27th March marked our first road trip of the year as we headed off to Sherwood Pines for the first round of this year's British Cycling National XC Mountain Bike Series. Sometimes people ask me if all these miles throughout the season are worth it but we've actually missed it . . . we think of these weekends like a mini holiday and get to see parts of the UK we may not have otherwise visited. One thing that makes things much easier for these road trips is when we borrow my in-laws' motorhome. 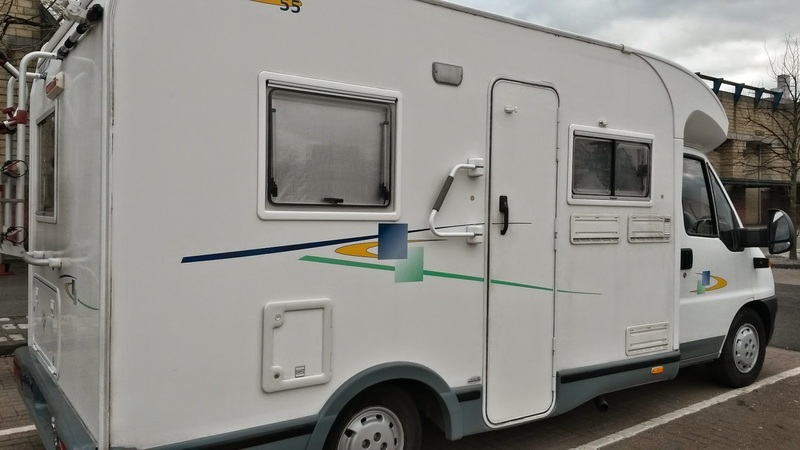 We ticked off quite a few Premier Inns last year and they're fine most of the time, but it's great having things just the way you want them having the motorhome on-site. Not having to leave the race venue is a big plus point, but things like being able to make my own porridge my own way and relaxing with a nice cuppa before practice makes all the difference! Anyway, onto the mountain biking . . . ! 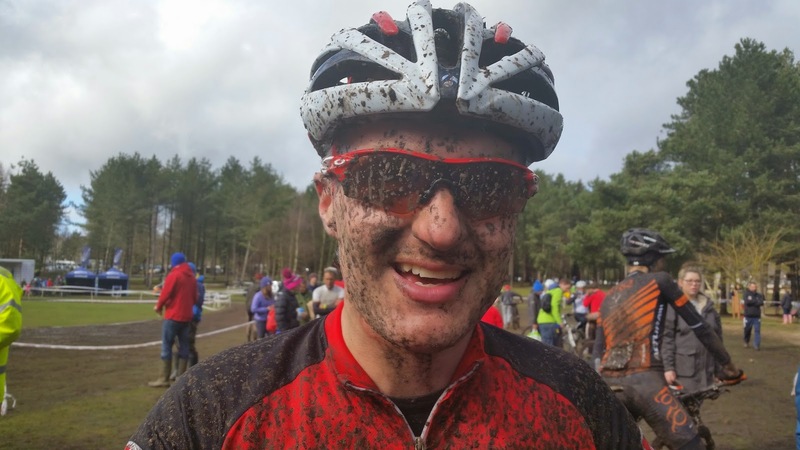 Sherwood Pines was my least favourite course last year and my only DNF. 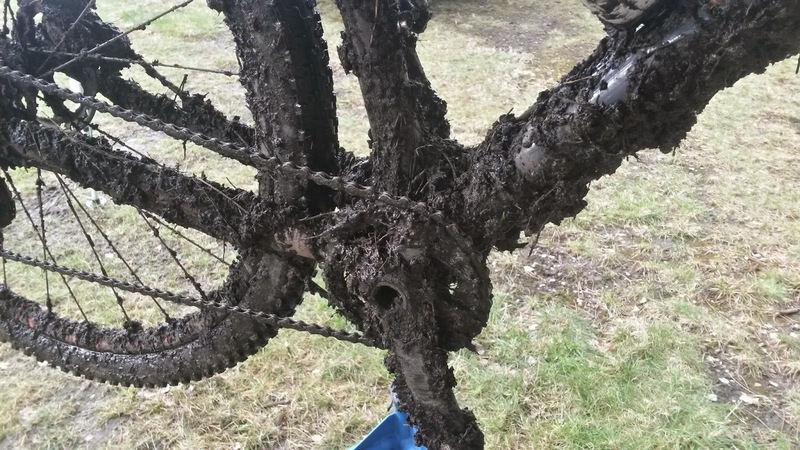 I'll not bore you with the reasons for the DNF here, but my reasons for not liking the course were that it just didn't feel like proper mountain biking. It was flat and non-technical. I really enjoy some good long climbs and I love rocky, technical descents. I would go as far as to say I hated last year's course there. This, coupled with the move up to the Expert Category, with 94 riders signed up, may have you thinking I wasn't looking forward to the weekend's race. However, given my recent focus on process goals, I clearly knew what I had to focus on for this race and wasn't going to let the much tougher competition in the British series Expert category put me off, or the course I just didn't enjoy last year. Now, you may have been wondering why I chose the title of this blog "Trek to the rescue" . 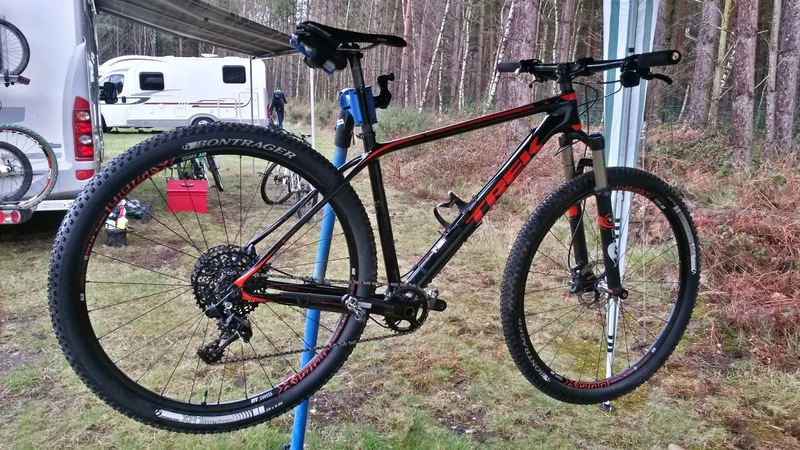 . . My Trek Superfly FS was in at my sponsors (Alpine Bikes) last week to fit a couple of new parts and have its usual check over before this weekend's race. I was due to collect it on Thursday but received a call on Wednesday afternoon saying that they'd found an issue with the frame and it would need to go back to Trek under warranty to be resolved. I wasn't angry or upset, as nobody can predict something like that and sometimes things go wrong with these high end race machines, but you can imagine my disappointment at realising I would not be able to race my first round of the BCXC this year. Despite not enjoying Sherwood last year, I still wanted to race. I had a good grid position thanks to my Masters National Ranking from last year and I did not want to end up at the back for the next race in Plymouth. I also just wanted to race! It's what I do. It was fantastic! I'll do a more detailed review soon, but it actually suited the Sherwood course even better than my full suspension version and I really liked having a 1x11 set-up for the first time. So, thanks to Alpine Bikes, Trek and Andy, I was set-up and ready for practice on Saturday afternoon. As I headed out onto the course for practice, I joined it in the direction we raced last year, just to be turned around by one of the commissaires and told I was going in the wrong direction! And what a difference that made! Despite what I thought last year, I actually really liked the course! It just seemed to flow better in the other direction and it had a few other changes in it. It was still a bit flat for my liking and didn't suit my strengths, but I've been working on flatter, twistier courses like this during the winter and it seemed to have paid off a bit too. I really enjoyed the practice session. Here's how the course looked on Saturday during practice when it had been dry most of the day. Well, what a difference a day makes . . . plus, several hours of rain and several hundred racers on Saturday afternoon and Sunday morning! 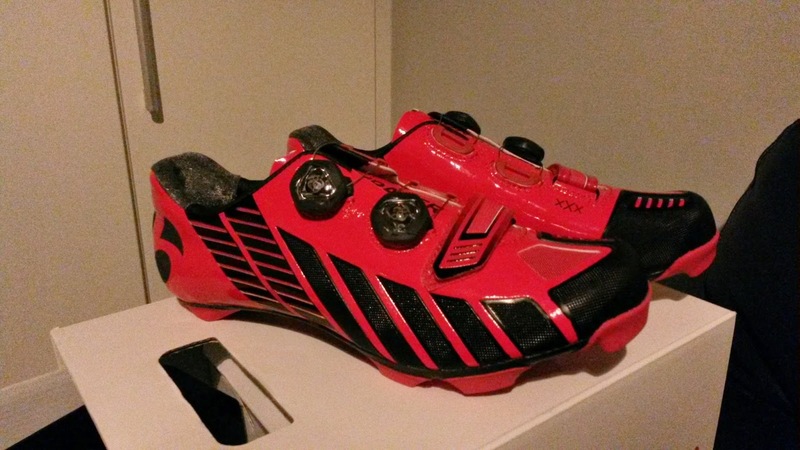 By Sunday morning I'd already decided to switch my tyres from Bontrager XR1s to XR2s. Seeing the womens' race go off at 10.45am cemented this in my head - even the grassy start/finish area had turned into a scene reminiscent of a wet year at Glastonbury Festival, as some of the racers slid round the first few corners with their feet out, and some even ended up on the ground, perhaps cursing their tyre choice. The XR2s were such a good choice and they provided unbelievable grip despite the conditions - remember they're not even a proper mud tyre; they're nothing like an XR3 or XR4 and yet they found grip in that mud for me! It's a fantastic tyre. Thankfully the sun came out just as we lined up for the Expert race shortly after 1pm, but the rain had done its damage by then. I was gridded 17th due to the way they'd combined us former Masters from last year into the Expert category based on our national rankings from last season, so I was on the second row. But I knew that with the calibre of riders around me I was likely to lose a good few places at the start. However, I knew I had to get the elbows out and just make sure I didn't lose the bike on those slippy muddy first few corners! I did lose quite a few places, but it's something I'm still working on so I'm not beating myself up for it. I managed to keep myself upright, despite other riders banging into me and someone that almost completely took me out (he apologised, so no hard feelings). I got those elbows out and managed to hold my line as we gradually thinned out into the singletrack. It was at this point I was so grateful for my tyre choice as I'm sure I've got those XR2s to thank for keeping me upright on this and several occasions throughout the race! At about the halfway point in the race, I could see that there were other former Masters just in front or just behind me, so I knew I was on a par with last year. My aim for this season with the move up to Expert is to try to do better, like for like, compared to last year. So, although I'm trying to focus on my own goals rather than other people, comparing to these other former Masters would help me figure out where I was sitting against the guys who had already been racing Expert last year. 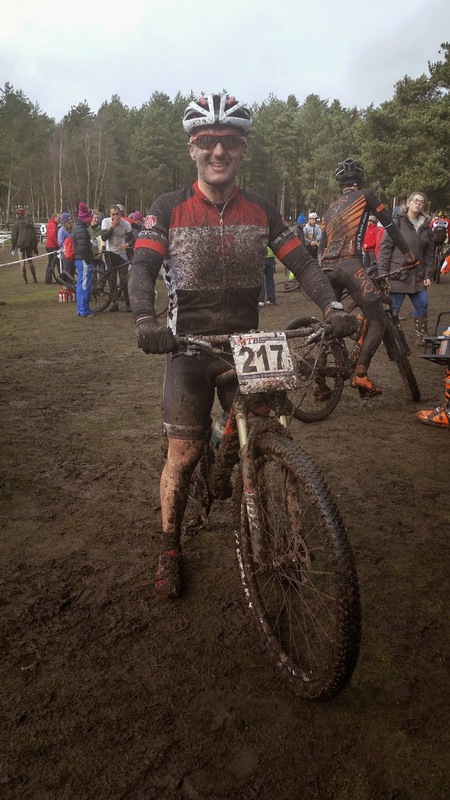 If anything, I was enjoying the course even more in the thick, gloopy, slidey mud! 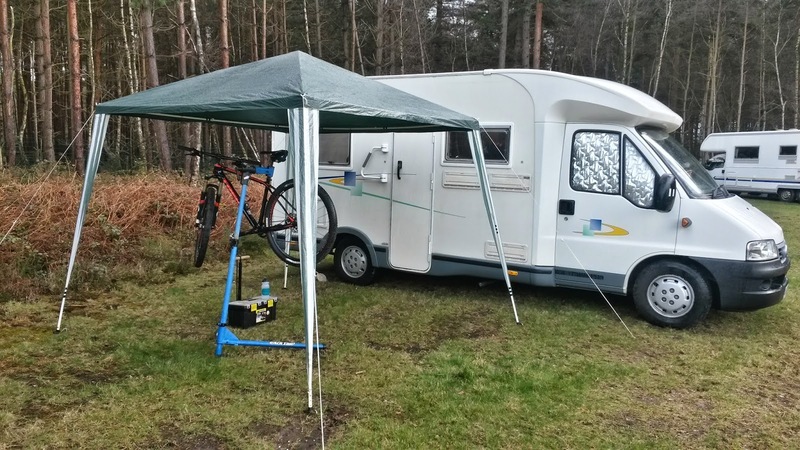 It reminded me of mountain biking in winter in Scotland and it was loads of fun. 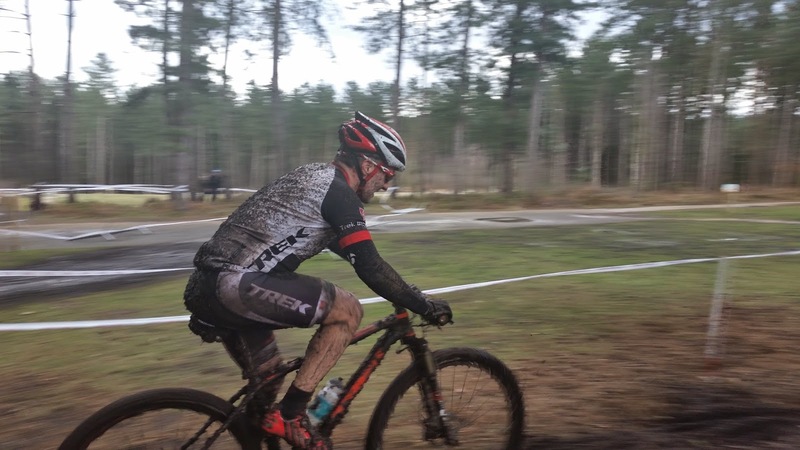 It actually made the course a bit more technical and I was pleased that I was either keeping up or even pulling away from people on the more twisty sections where I struggled a bit last year. Last week, I was really happy with my slightly improved pacing (although there's much more work to be done) and I'd hoped to keep working on my lap time consistency this week. Unfortunately that wasn't to be. 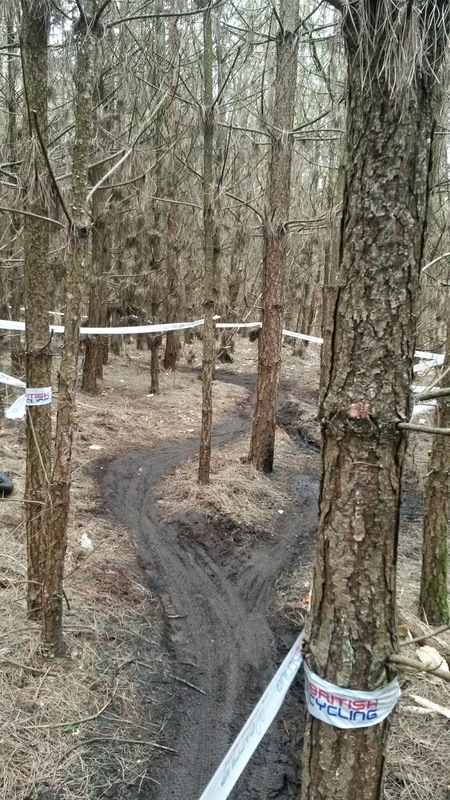 I'm sure there were a few factors at play, like the fact that we had to get off and run/walk some sections later on; they got so churned up even the Elite guys couldn't ride them. The wind picked up more which slowed us down on some sections. And I was tiring. This is the thing I really need to work on and I was disappointed to lose a few places in my last 2 laps. I absolutely need to focus my training on that for the rest of the season. They also changed the course a bit from lap 3 onwards (although this obviously affected everyone in the same way) and I found out why when they slowed me down in my 4th or 5th lap to let an ambulance out of one of the sections of the track. An air ambulance arrived on scene to take someone to hospital. I've since heard it wasn't a crash but was a young rider in the junior category, Tom Reid, who suffered a heart attack during the race. 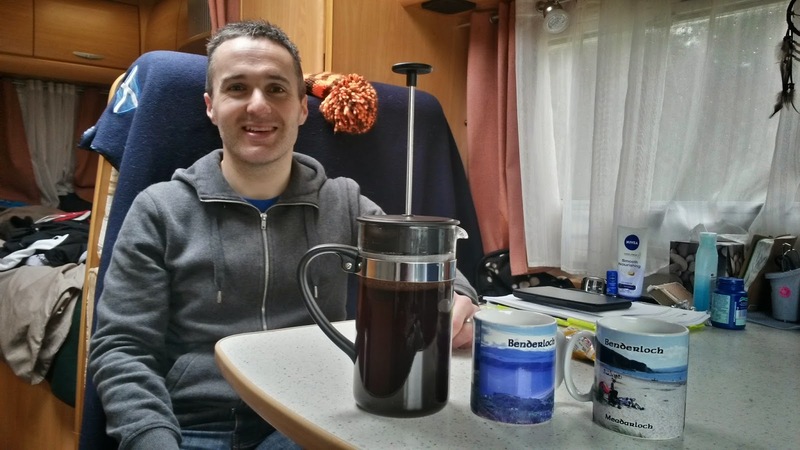 I don't know Tom, and I don't know anything about what caused his heart attack, but I'm delighted to have heard today (through UKXC News) that he has pulled through and survived what must have been a horrible experience. I wish him all the best for his recovery. On those later laps, the course was starting to feel really draggy in places and the bike was getting heavier by the minute collecting mud! This is how it ended up looking after the race! Don't worry, I cleaned it before returning it to Trek yesterday! I lost some time letting the Elite guys past in my last couple of laps, but that's just something you have to accept racing at the same time as these guys. It's a privilege to see them race and you need to accept that they'll catch you and lap you at some point, so you just have to let them past. I then got caught by another couple of Expert riders, and I'm sure I recognised them as former Masters from last year. I'm disappointed to have lost a few places in the last 2 laps, so I just need to keep working on that as I've already said. I knew I had a bit of a gap behind me going into my final lap so I pushed on to retain that and make sure no more Experts caught up with me. That jersey used to be white! I also got a new pair of amazingly shiny disco slippers earlier last week . . . here's a wee before/after of them! I'm sure you get the idea by now . . . it was a tad muddy! I crossed the line not knowing where I'd come but having enjoyed the conditions. 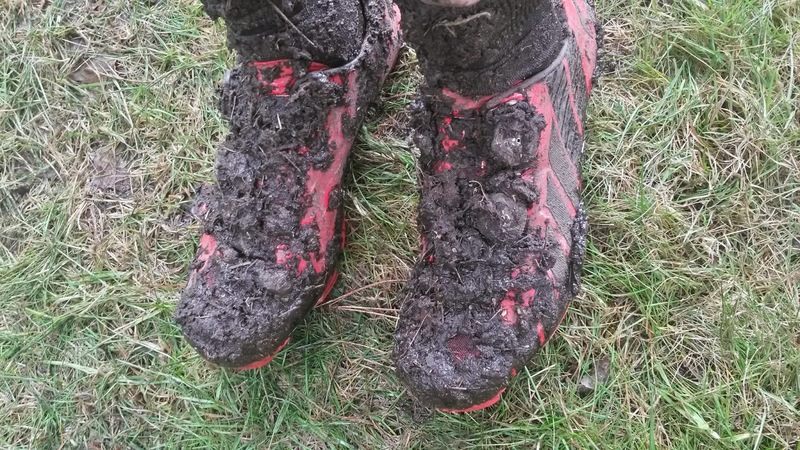 I feel my winter training in the muddy slippy natural trails near home has helped out and even though the course still doesn't suit me I enjoyed it much more than last year. I'm under that mud somewhere! It's annoying to miss out on national ranking points due to that position and I feel I could have done a bit better, but I'm not beating myself up too much. To reflect on my process goals, something I harped on about in my last blog, I met some but not all of them. So I just need to analyse the areas I've got to work on and move on from it. I'm really looking forward to my next race in 3 weeks time in Plymouth for round 2 of the BCXC Series. I've never raced there before so I have no idea what to expect but it's another road trip and I can't wait to get racing again . . . let's hope there's a bit less mud! It's all about the process . . .